Hamas said Monday that it expects Egypt to adjust cease-fire proposals to favor its demands. Meanwhile, it kept up rocket fire at Israel. As pressure from the US and other countries grew for an immediate cease-fire in Gaza, Hamas terrorists continued firing rockets at Israeli targets. Rockets were fired at several communities in the Gaza border area Monday morning and afternoon; Ashkelon was targeted as well. No injuries were reported in any of the attacks. Hamas said Monday that it expects Egypt to adjust the conditions it set out in its cease-fire proposal to match some of the terror group's demands. Previously, Hamas had turned down the Egyptian proposal, which had called for an immediate end to fighting and rocket firing, with IDF troops remaining in place while negotiations ensued on Hamas' demands. Hamas rejected that proposal, insisting that at the very least, the cease-fire include a provision that would allow free transit to and from Sinai for Gaza residents, and that a funding mechanism to allow Hamas to "rebuild" Gaza be implemented. 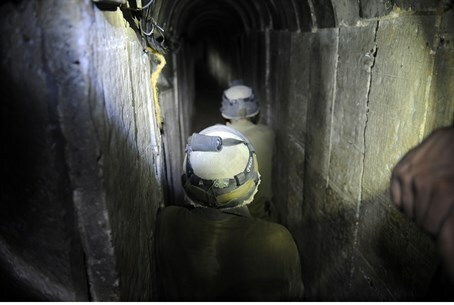 Hamas spokesperson Musa Abu Marzuk said that Egypt would announce the new concessions later Monday. Under any conditions, he said, Hamas would be allowed to attack IDF soldiers operating in Gaza, even if there is a truce. Hamas, which has rejected not one, but three separate ceasefire attempts, called on Israel over the past week to submit to a number of 'conditions' - or demands - in return for an end to the violence against Israelis. The calls were accompanied by threats against the Israeli people, made through a series of weakly-worded text messages. These 'conditions' include, among other things, greater access to international waters, reopening of border crossings, and relaxation of trade restrictions; release of terrorists who were re-arrested during and after Operation Brother's Keeper earlier this month; and the possibility of constructing an international airport from Gaza. Israel rejects these demands for their potential to re-arm Hamas and enable it to make stronger ties with its Iranian and Arabian contacts. Egypt, under recently-elected President Abdel Fattah al-Sisi, has moved to isolate Hamas, accusing it of backing the Muslim Brotherhood on its own territory. Egypt's foreign ministry has condemned Israel's ground offensive but it also lashed out at Hamas, saying the Islamist movement could have saved dozens of lives had it accepted Cairo's proposal. Israel and the Palestinian Authority, which has sided with Egypt in the tug of war over which “brand” of cease-fire would be implemented, accused U.S. Secretary of State John Kerry of “digging a tunnel under the the Egyptian ceasefire proposal” by accepting Hamas's conditions for a ceasefire in Paris talks Saturday, Channel 2 reported. Kerry and top diplomats from Europe and the Middle East who gathered in Paris Saturday called for an extension to a temporary truce declared Saturday between Israel and Hamas. However, neither Israel, nor Egypt, nor the Palestinian Authority under Mahmoud Abbas were represented in the talks. Israeli diplomatic sources accused Kerry of accepting Hamas's terms for a permanent ceasefire as represented in Paris by Hamas sponsor Qatar and the terror organization's political backer, Turkey.